The fishing companion to Tying Small Flies Instructions and illustrations for tricky casts, including pile, reach, parachute, and downstream-and-across reach Techniques for dead-drift nymphing, freestyle nymphing, and fishing dry-fly and in-the-film plus how to fish tiny mayflies, Tricos, Pale Morning Duns, midges, microcaddis, terrestrials Most small-fly books concentrate on the fly patterns, but presentation and tactics are just as important as the pattern itself. Small-fly fishers must carefully observe the trout and constantly adjust their techniques as they go. 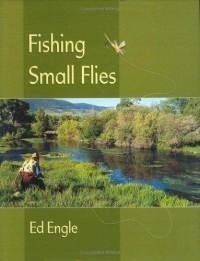 Engle covers the difficulty of detecting strikes and how to best play trout caught on small flies and gives advice on the aquatic insect orders and how to fish the hatches, depending on the water and the stage of the hatch. Covered too are special considerations for rods and reels for small-fly fishing and tactics for light tippets. 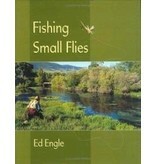 Engle describes fishing specific waters, including tailwaters, freestone rivers, and spring creeks.